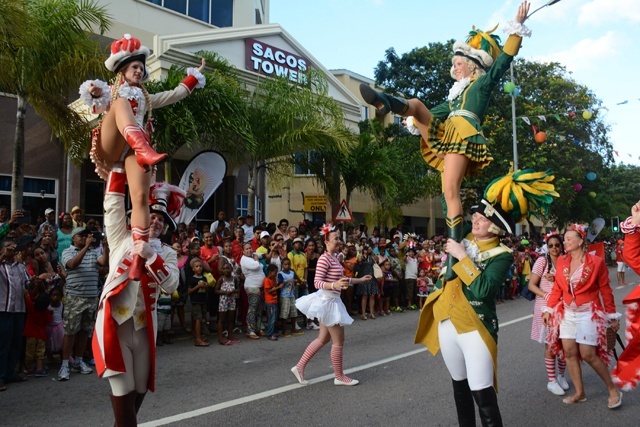 (Seychelles News Agency) - The well-known annual ‘Carnaval International de Victoria’ will not be held in April this year, a top official of the newly set-up Creative Industries and National Events Agency (CINEA) said. As of this year, CINEA has submitted a proposal that the carnival -- a regular feature on the Seychelles' calendar of events for the past six years -- be incorporated into the Creole Festival, which will take place in the island nation in October. The chief executive of CINEA, Gaelen Bresson, told SNA that the Seychellois nation is made up of the first settlers -- the slaves and their European masters, the Indian and Arabs spice traders, and the Chinese who came to trade. “This is who we are as Creole, as Seychellois, a melting pot of cultures, so it is fitting that the carnival is held during the Creole festival, a time when we celebrate our identity, our rich, diverse culture,” said Bresson. The ‘Carnaval International de Victoria’ started in Seychelles, an archipelago in the western Indian Ocean, in 2011. Dubbed ‘the melting pot of cultures,’ it was held in April every year for three consecutive days. The event was one that allowed participants and onlookers to not only showcase cultures but to learn from each other’s cultural diversity. CINEA said that outside participants have been informed. “We have informed them of the proposal and have asked them to confirm their intention to attend, and a lot of them are still interested. We will still see a multicoloured, multicultural facade on the streets of Victoria,” Bresson told SNA. The Creative Industries and National Events Agency, CINEA, was created in August 2016, to promote the development of creativity, skills and talents in individuals and collectively in the fields of visual, performing and literature, arts. The organization will also organise and coordinate national events. Dream, innovate and create is CINEA’s slogan, and the agency is coming out with several initiatives which are aimed at increasing creativity by developing Seychelles' locally made objects, exposing the islands' artists and local talents to different regional and international events such as festivals, and reviving some trends such as traditional games which are slowly disappearing. CINEA is also responsible for the day to day running of the International Conference Centre of Seychelles (ICCS).